Extensive marketing on the best websites and most relevant publications.  Achieving the best price - our local knowledge and understanding of the market will mean you not only sell your property but at the highest attainable price. Our brand new, cutting edge office in prominent town centre location with eye catching branding. Feel free to drop in anytime for advice or just to say hello! FREE Valuation - A valuation is the first step to understanding what your property is worth. We would be delighted to give you a free, no obligation, honest appraisal and discuss possible marketing strategies.  Industry approved- we operate to the highest of standards set out by The Property Ombudsman, ARLA and the NAEA meaning you can be confident you are working with a reputable and respectable company that has your interest at heart. We pride ourselves on offering a full service and can help you in numerous aspects of moving house, from solicitors to septic tanks we are here! Local business- we source, where we can, all the needs of the business through local suppliers. The idea is to keep the local area as alive and vibrant as we can. Local knowledge - this is where we live, and work, and have fun so there is very little we don’t know about the area. Call in for a quick chat or to be pointed in the right direction. Follow us on Twitter, Facebook and You Tube to get the latest news and information regarding the local area. A little thank you…. Whenever you buy through Irlams we will leave a token of our appreciation in your new abode.